August 6, 2018 — The Society of Environmental Journalists Board of Directors is pleased to announce that Meaghan Parker will be SEJ’s new executive director. Parker will begin work as executive director on September 17 and lead the organization from Washington, D.C. Currently, Parker is the partnerships director and senior writer/editor for the Environmental Change and Security Program at the Woodrow Wilson International Center for Scholars in Washington, where she has worked since 2003. Deeply familiar with SEJ and its mission, Parker joined the organization in 2005 and was elected to the SEJ Board of Directors representing Associate members in 2012. She served nearly six years on the board until she stepped down in April 2018. At the Wilson Center, Parker founded and managed a long-running blog, the New Security Beat; produced four award-winning short documentary films; wrote and edited numerous research reports; and developed new partnerships and programs. Since 2013, she has organized the annual “Journalists’ Guide to Energy and Environment,” held at the Wilson Center in partnership with SEJ. Before joining the Wilson Center, Parker served as manager of Research and Internal Communications at PPL Global, a Fortune 500 energy company. Parker replaces Interim Co-Executive Directors Chris Bruggers and Beth Parke. Parke will remain on staff through a two-month CEO transition period. 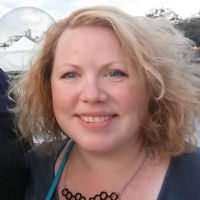 Bruggers, who joined SEJ’s staff in 1993, will resume her position as SEJ’s associate director and director of awards. A board-appointed committee of SEJ members and board members spent nearly six months searching for a new executive director. The committee chose several finalists out of a pool of more than 180 applicants. 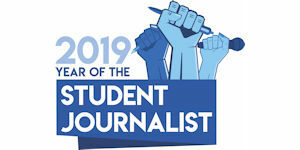 Parker said she will continue to uphold SEJ’s mission to support its member journalists and educate the public about environmental issues. Meaghan Parker will build upon the decades of growth and success SEJ has experienced under the leadership of Beth Parke, an SEJ charter member who became executive director in 1992. Parke resigned from that position in 2016 then stayed on staff as founding director in fiduciary and development roles. The SEJ Board named Parke and Bruggers interim co-executive directors in 2017 during the search for a new executive director. Founded in 1990 and based in Washington, D.C., SEJ’s mission is to strengthen the quality, reach and viability of journalism across all media to advance public understanding of environmental issues. 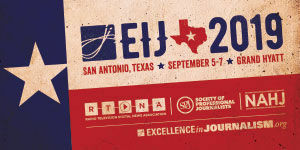 SEJ’s annual conference gathers hundreds of environmental journalists and newsmakers from around the globe under one roof. 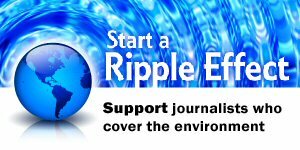 This year’s conference, Environmental Journalism 2018, will be Oct. 3-7 in Flint, Mich. Learn more at www.sej.org.